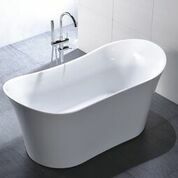 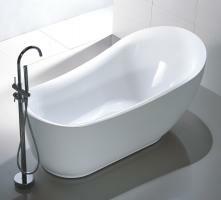 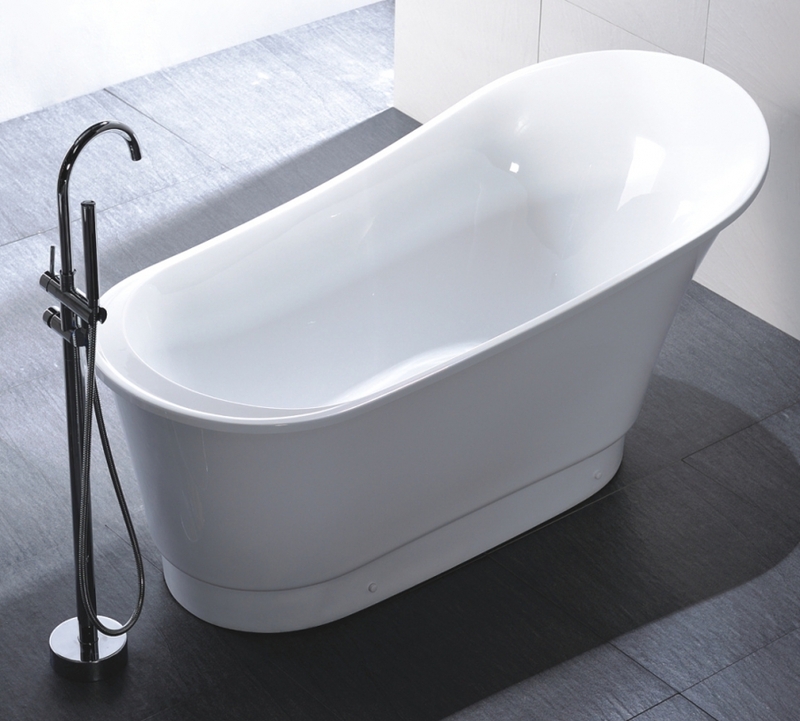 This modern styled free standing tub tapers up at the rear end just enough to make a very pleasant back rest for when taking a nice long soak. 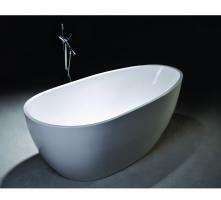 The acrylic material is white and has a high gloss sheen. 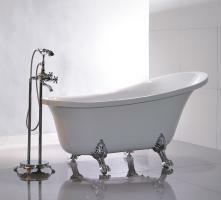 This would be a very welcoming addition to the bathroom.